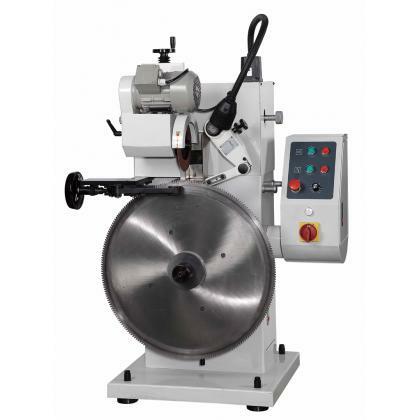 Friction saw blade grinders help you easily operate the machine by using the vertical grinding method. After years of research and development, a professional-level friction type saw blade grinding machine was designed. Its advantages includes the adjustment rod arrangement, the reasonable arrangement of rod makes the operator to easily adjust the tooth cutting angle, the backlash angle, tooth depth and tooth pitch. Furthermore, the thickness adjustment of saw blade, which obtained patent in many countries, that the blade was hold by two moving devices at the same time and move to the central of the machine for grinding; thus, there is no requirement to manually adjust the thickness of the blade. And it also can reduce the grinding noise. 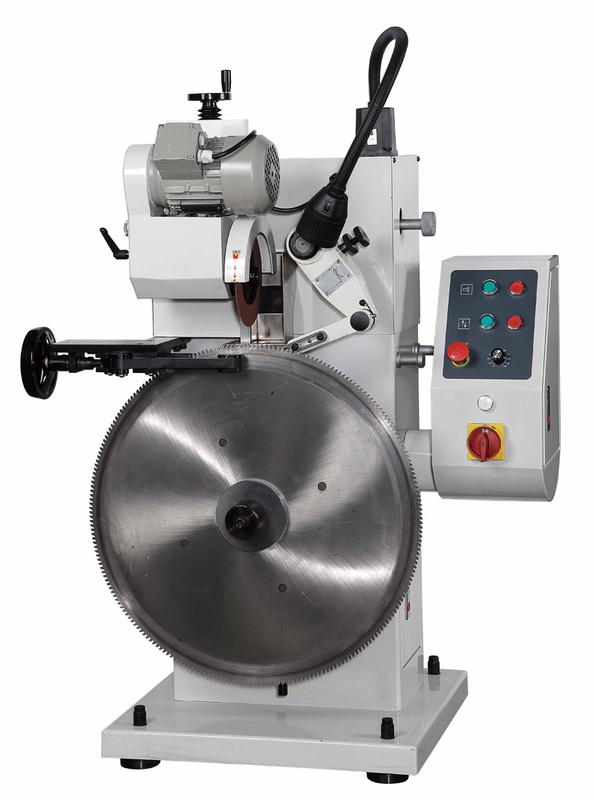 Friction saw blade grinding machine is differing from other grinders; it has a Continuously Variable Speed Drilling function. By using the converter to control the grinding speed, it can adjust the required grinding speed according to the tooth pitch difference. Friction saw blade grinding machine uses computer to simulate and design the industrial-class professional tooth profile cam in order to make the grinding simpler, faster and more accurate. Friction saw blade grinding machine adapts spheroid graphite ductile iron (FCD-45) and with the temper treatment to ensure accuracy and increase the wear resistance. The saw blade grinder SKD11 is mainly made in high-carbon steel, it has been heat-treated and grinded. Besides, its pushing arm spring has been improved by using the rotary spring, so that flexibility fatigue rarely happens and ensures the accurate feed. Saw blade feeding support base is made of high-strength alloy of copper material, buried in the solid lubricant that is made by high technology; its high-load and high wear-resistant characteristics achieve the performance no oil supply requirement. The axis of the feed shaft is £r30mm, and also has been heat treated and grinded. Combines the characteristics above, there is no doubt that the friction type saw blade grinding machine is able to grind a sharp blade accurately and quickly. ※ All designs, spec. and characteristics shown asabove is subjecl toanychange without further notice.